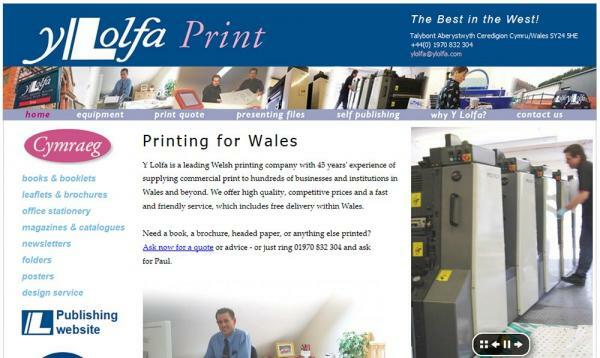 A new stand-alone website for Y Lolfa Printers, replacing pages on the main Y Lolfa publishing website. 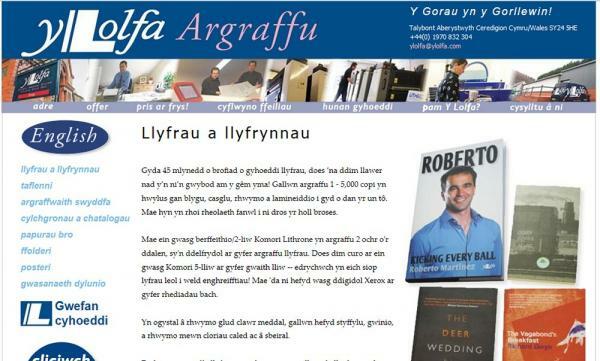 They are based in Talybont, Ceredigion. 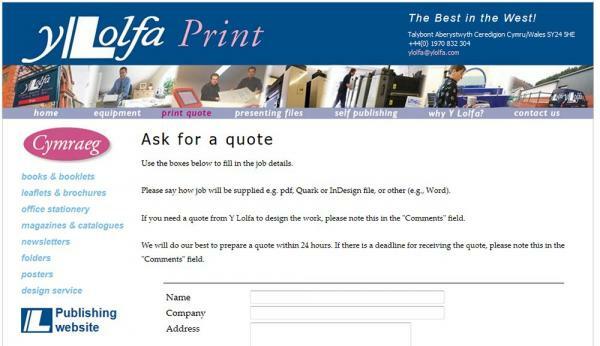 Technical features:A fully bi-lingual site, which allows users to complete forms and enquire about prices for print jobs. 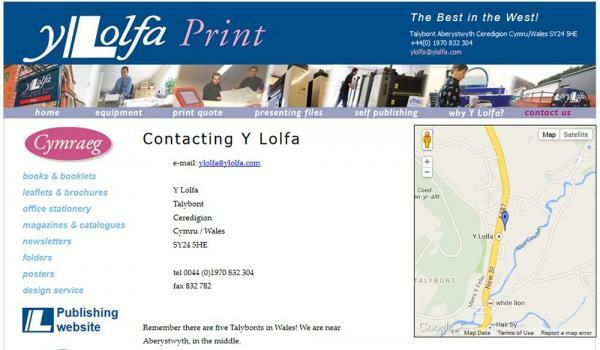 The staff at Y Lolfa can update the content of the site themselves using our content management tools. 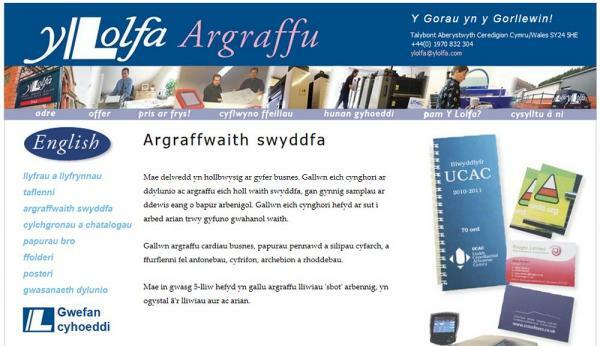 The site was developed with PHP and MySQL databases. It also includes a google map. 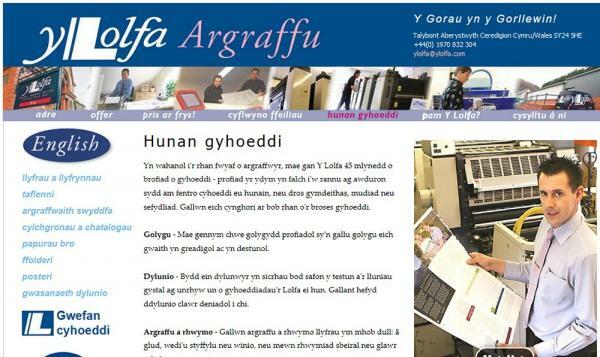 Development partners: Designed and built by Technoleg Taliesin, hosted by mach2media.